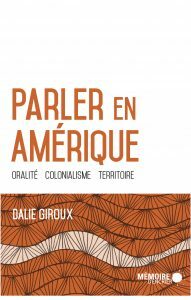 Associate Professor Dalie Giroux has published the book Parler en Amérique. Oralité, colonialisme, territoire at Mémoire d’encrier. Please see the french page for a description of the book.